This map contains territory of Russia. Displayed town Krasnogorskoye presented. On this map town Choya download for free. Displayed Yegona free download. On this map Verkhnyaya Tibezya for Garmin. 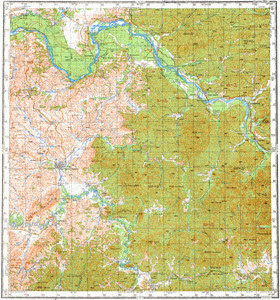 On this map Verkh-Karaguzh free download. You can find here Ust'-Kuyut presented. Ust'-Kazha marked. On this map Uskuch free download. Displayed Ul'yanovka free download. Displayed Udalovka presented. Displayed Tibeza presented. Tayna presented. Displayed Staraya Azhinka download for free. On this map Shilovka for Garmin. On this map Sergiyevskiy presented. Displayed Saylap free download. You can find here Saydyp free download.